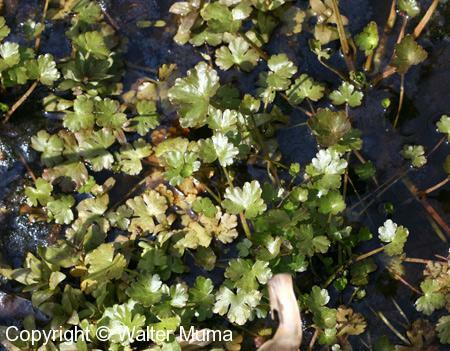 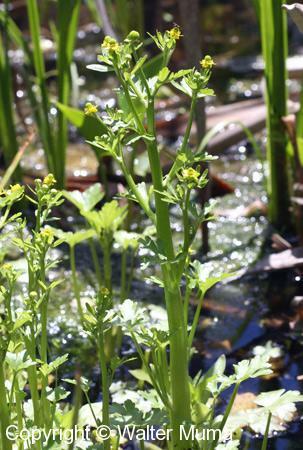 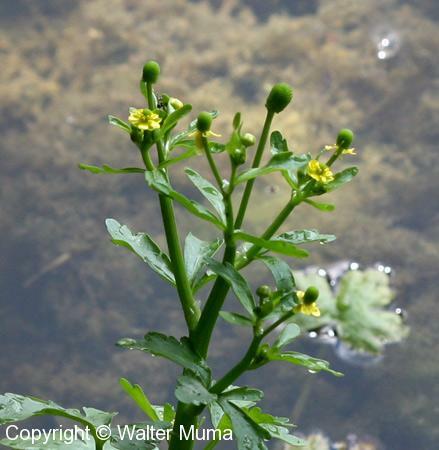 Distinctive features: Crowfoot-style flowers on a plant in the water. 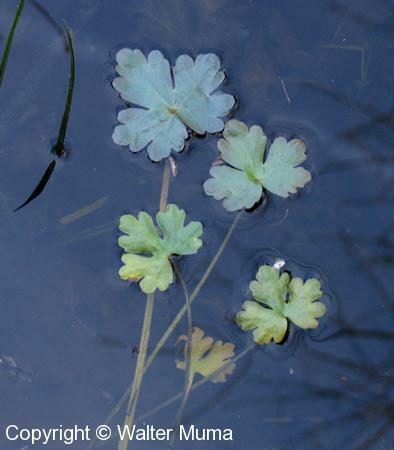 Typical growth form of the leaves. 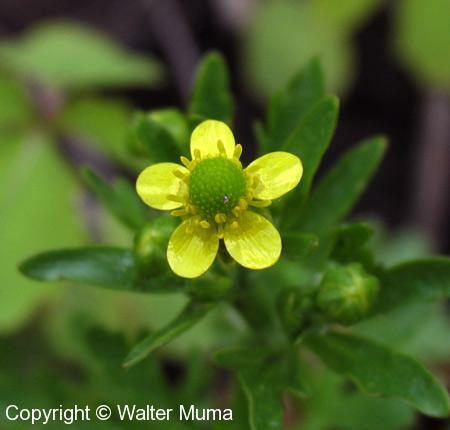 Like all Buttercups & Crowfoots the flower petals are very small. 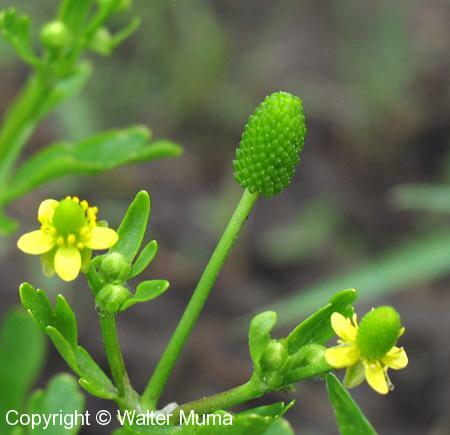 The flower after it loses its petals. 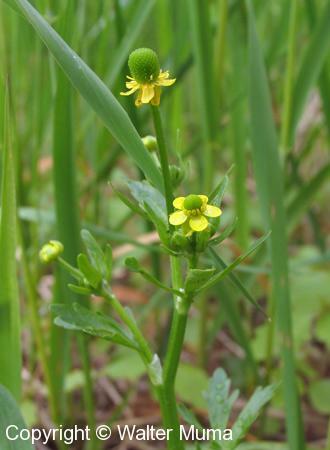 Closer view of the flower. 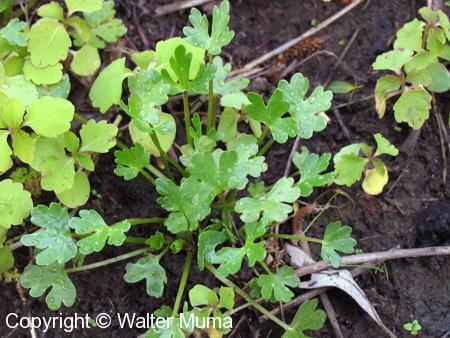 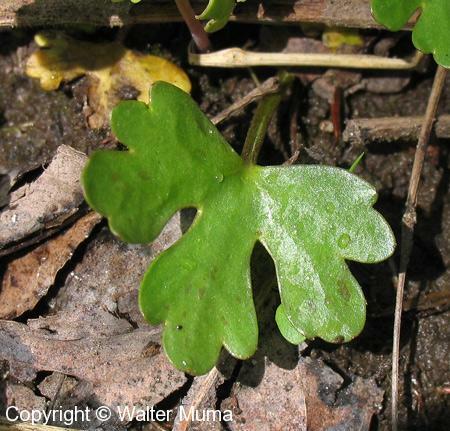 This plant has an unusual and distinctive leaf shape.